Hi Jake, we just want to thank you so much for everything you did for us on our special day, the best day of our lives! 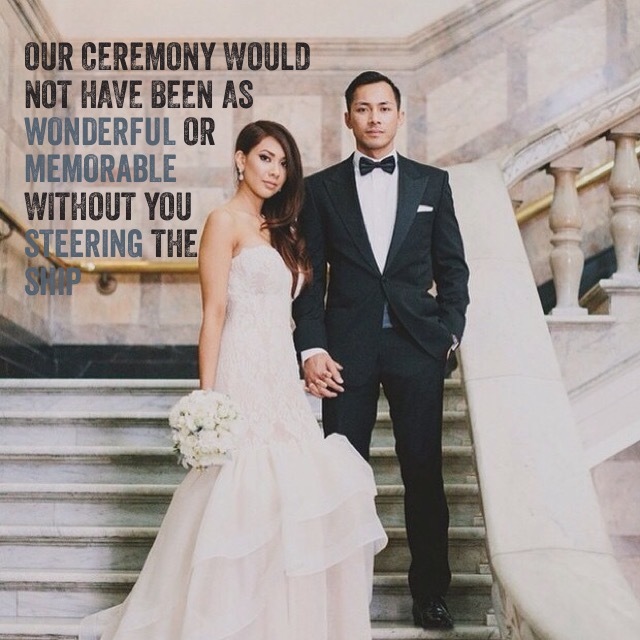 Our ceremony would not have been as wonderful or memorable without you steering the ship. It was a pleasure to meet you, get to know you and have you as the person who married us.